If you have to drive, (it’s cheaper not to if you can help it), there are a few ways to keep costs down. When I first got my car I felt an affinity with the accelerator. 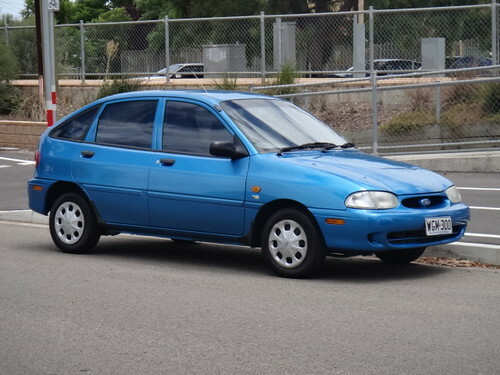 My car is pretty old and cheap but it took off at the lights like a ferrari (I thought so). Recently however, its become clear to me that chewing through petrol for a few thrills on the way to work is unnecessarily costly. What are the costs of ‘expensive’ driving? You use more petrol, wear down parts quicker (brakes, tyres, gear boxes, etc.) and are more likely to get a fine. Keep you tyres inflated to the recommended PSI – this reduces drag on the car which reduces the amount of fuel required to move the car and also increases the life span of your tyres. Drive within the speed limit = no fines! I’ve been driving using these tips for the past few weeks and I’ve seen a 20% drop in the amount of fuel I’ve needed for my 5 day/week , 60km round trip commute. And if you can avoid driving by taking public transport, biking or walking, even better! How to do it? Go to youtube and type in your car brand and what needs fixing. And keep that money in your pocket!